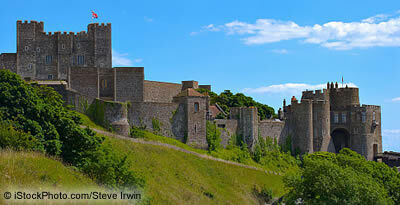 "Dover Castle & the Secret Wartime Tunnels"
Dover castle is one of English Heritage’s top attractions. There is plenty to do here even on a rainy day. The history of the site stretches back to the iron age. The Great Hall has had a £2.45 million refurbishment to showcase the grandeur of Henry II’s court. The Secret War Time Tunnels reveal the history of the castle as a command centre during World War II. The underground hospital has been restored and is very atmospheric. The guided tours really add to the enjoyment. This entry was posted on Wednesday, March 28th, 2018 at 12:08 pm	and is filed under Attractions, Tourism. You can leave a response, or trackback from your own site.